It's been a month since many households in Metro Manila's East Zone have had their water supply cut off. 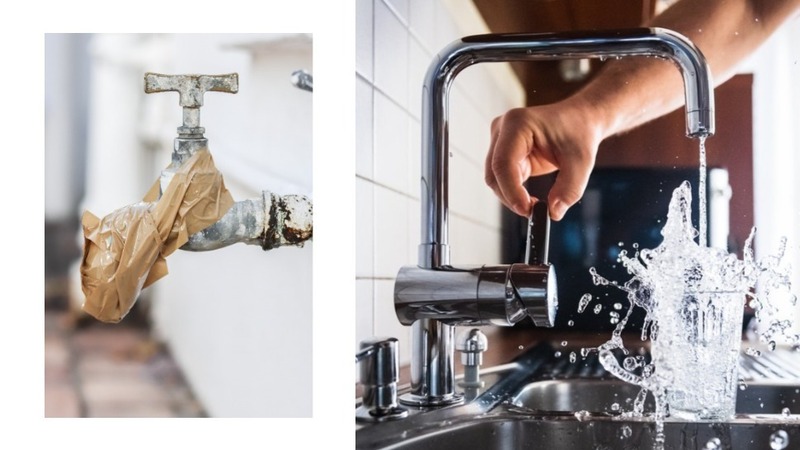 Though water service has now returned in most areas—Ayala Corporation Chairman Jaime Augusto Zobel de Ayala Âhas said Manila Water’s eight to 12-hour water availability at ground floor level has reached 97 percent as of March 25—the damage has been done, causing massive inconvenience, especially to the 152,000 households from 44 barangays that were the most severely affected. To appease disgruntled clients and “help ease the widespread inconvenience” caused by the water interruptions, Manila Water announced on March 26 that it will voluntarily waive billings for March—the minimum charge for all of its customers, and the total amount for the hardest-hit barangays. This will be reflected on the April bills, the company said. “Please be assured that Manila Water is exploring all possible options to bring back services to the high levels that we are all accustomed to. We continue to appeal for everyone’s patience as our teams at Manila Water are working hard and overtime to immediately and comprehensively remedy the situation,” Zobel de Ayala wrote in the same Facebook post on March 27. Manila Water holds the exclusive right to provide water to the East Zone of Metro Manila, which is part of the franchise area of the Metropolitan Waterworks and Sewerage System (MWSS). Manila Water provides water services to more than six million people, residential, commercial, and industrial customers. The other half of the capital—the West Zone—is serviced by the Manny Pangilinan-controlled Maynilad Water Services Inc. In 2018, Manila Water recorded its highest annual gross revenues and net income since 2012, the earliest year with available data based on the company’s financial reports filed with the Philippine Stock Exchange (PSE). Manila Water’s sales grew by 7.1 percent year-on-year from P18.5 billion to P19.8 billion. 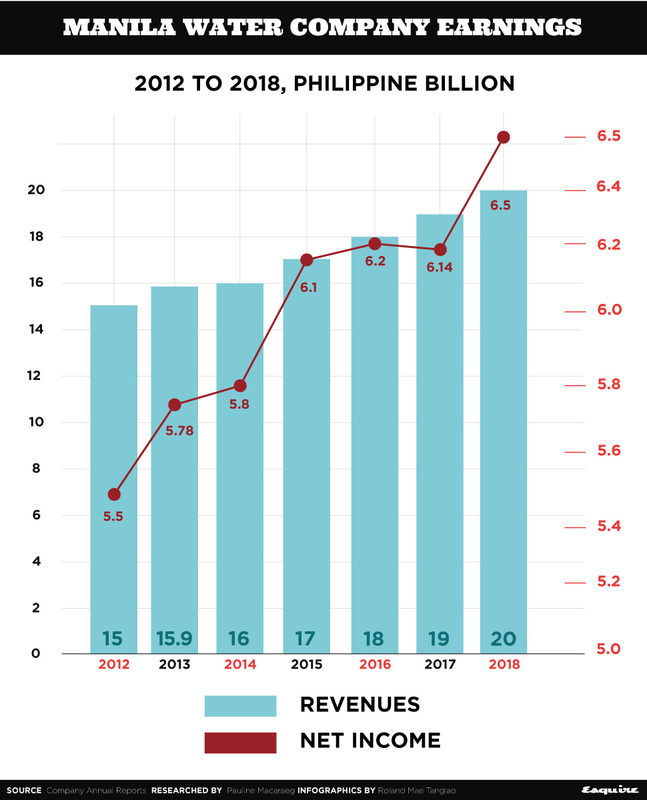 Likewise, its profits climbed by 6.3 percent in 2018 to P6.5 billion from P6.1 billion the previous year. The Ayala-owned utility company generates income not only from its customers in the East Zone. It also has a wholly owned subsidiary called Manila Water Philippine Ventures, Inc. and its domestic subsidiaries include Laguna Water, Boracay Water, Clark Water, and Estate Water—its operating division for implementing projects with partners. It remains to be seen whether or not the waived March fees will have a large effect on Manila Water’s earnings. After all, it is only canceling fees for one month. Still, the company relies heavily on its Manila operations. In Manila Water's latest financial statement, the Manila Concession received a bigger share of the total billed volume compared to its other subsidiaries. About 503.3 million cubic meters, or 43.5 percent of the total billed volume of 1.1 billion cubic meters, went to the Manila Concession in 2018. This is more evident in terms of the company’s billed connections. Out of the overall 1.1 million accounts in 2018, 986,756 were connected to the Manila Concession, representing a whopping 89.1 percent of the total.